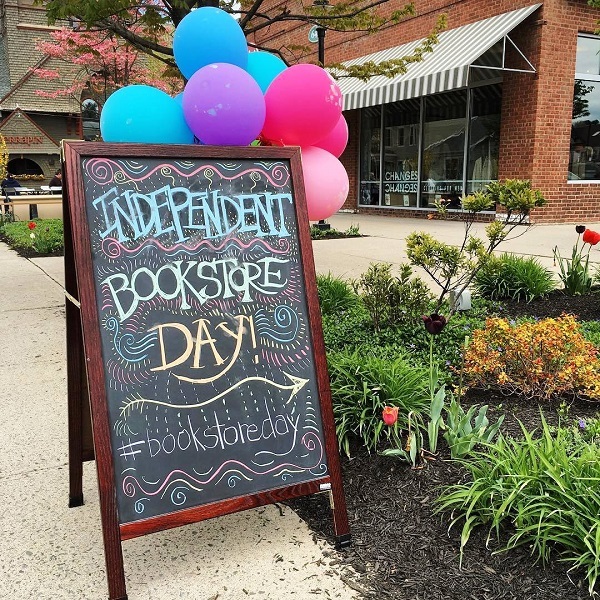 On Saturday, April 30, readers flocked to 430 indie bookstores in 44 states across the U.S. participating in the second national celebration of Independent Bookstore Day (IBD). 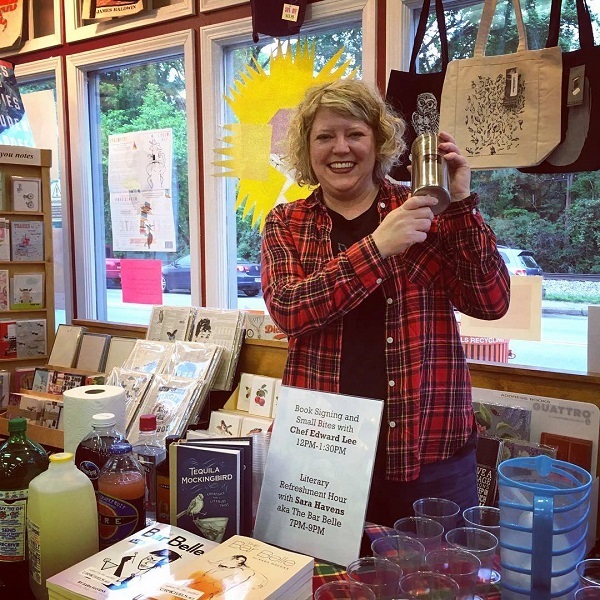 Many booksellers shared stories of successful events and record-breaking sales with Bookselling This Week, and many more posted photos of their fun festivities on social media. The event was so popular that the hashtags #BookstoreDay and #IndieBookstoreDay were trending on Twitter on both April 29 and April 30. The first 20 customers at Wild Iris received free gift bags filled with goodies. Entertainment and activities presented throughout the day included painting, fiction readings, African dance and drumming, and live music. 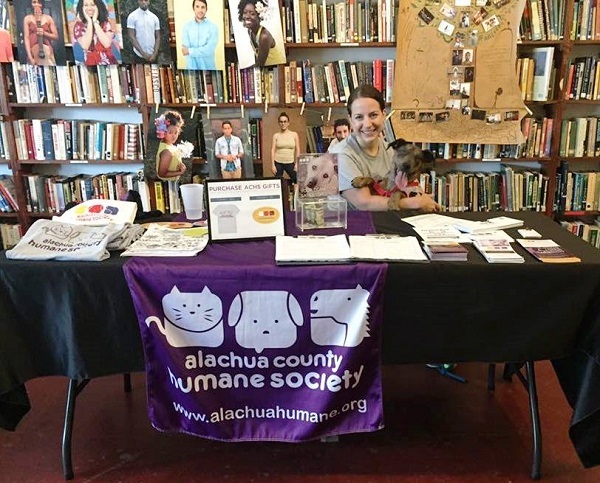 The Humane Society’s adoptable puppy was a particular hit, and community groups Gainesville Area NOW and Gainesville Girls Rock Camp were on hand to talk about their work in the community. Sales were up more than a 1,000 percent from the same day last year, said Merrell. 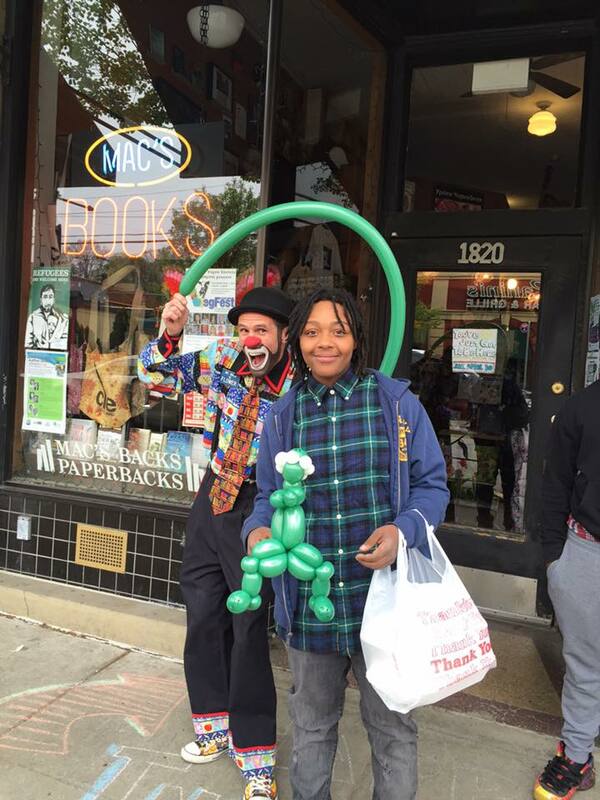 Suzanne DeGaetano, co-owner of Mac’s Backs-Books on Coventry in Cleveland Heights, Ohio, said Independent Bookstore Day 2016 exceeded all of her expectations. 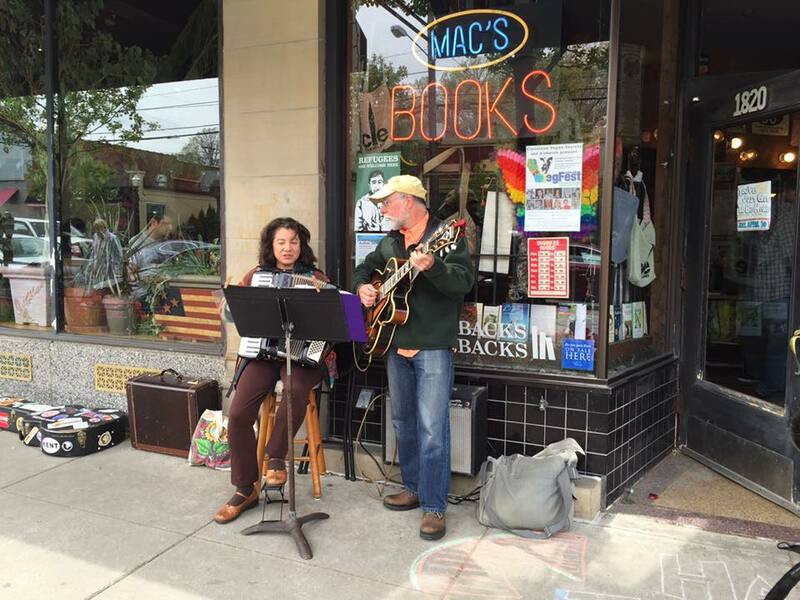 Store sales were up 40 percent over last year’s Independent Bookstore Day celebration at Mac’s, even though the weather was much better in 2015. What’s more, DeGaetano said, sales were two times as much as they were on the same day in April 2014. DeGaetano said many customers were also enthusiastic about the Indie Bookstore Day initiative by T-shirt/poster company Litographs to create “the world’s largest tattoo chain.” Temporary tattoos of all the words in Alice’s Adventures in Wonderland were made available to bookstores and customers were encouraged to post photographs of themselves sporting their tattoos online. “It was really super lively. 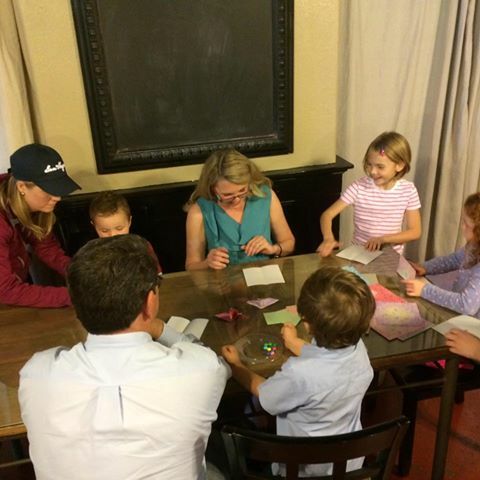 I knew we were going to have a busy day, but we were stunned at how busy it was,” she said. Mac’s Backs was one of nine Cleveland-area stores participating in a passport initiative organized by Harriett Logan, owner of Loganberry Books, which challenged customers to visit all nine stores and get their passports stamped to receive prizes. “That was really effective because we got extra media attention from that, too,” DeGaetano said. 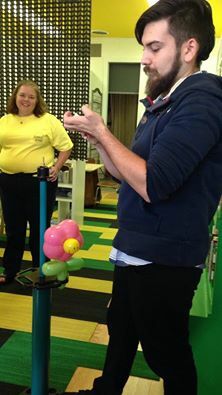 Learned Owl had a wonderful Independent Bookstore Day “that felt a lot like Christmas,” Schladerman said, noting that the celebration drew steady traffic throughout the day as people came to collect giveaways and participate in the Litographs challenge and a $50 gift card raffle. 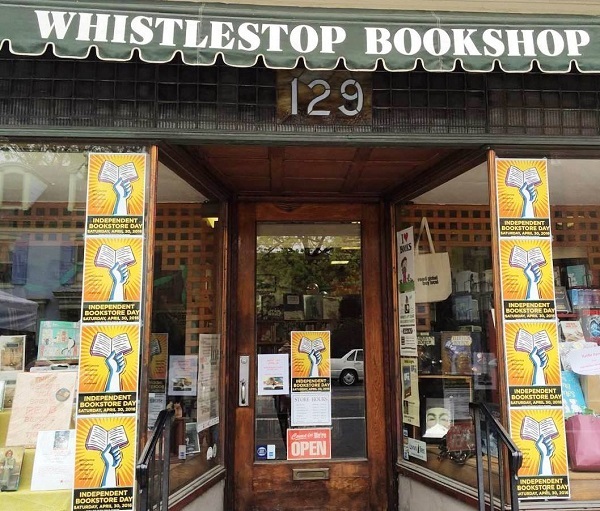 During Whistlestop’s extended hours on April 30, customers enjoyed free food from local restaurants, a jazz band, readings every half hour, and raffle prizes. “We had so many things going on at once, it was sort of like a three-ring circus,” said Wood. The biggest hit was the custom-designed ice cream flavor made for the event by local business Goose Brothers Ice Cream. Called “Purple Prose,” the ice cream infused flavors of lemon, honey, and lavender. Putting in the extra effort this year was worth it, added Wood, who used the many resources supplied by Independent Bookstore Day to help with pre-publicity. “It really, really paid off. It was like a peak day in the closing days of December,” he said. Gallery Bookshop & Bookwinkle’s Children’s Books in Mendocino, California, featured a graffiti stenciling session using the special Independent Bookstore Day “Bad Citizen” stencil, an adult coloring station, calligraphy demonstrations, and poetry-on-demand, as well as a bookstore scavenger hunt and a Battle of the Books bracketed tournament that resulted in Charlotte’s Web being named the top customer pick. 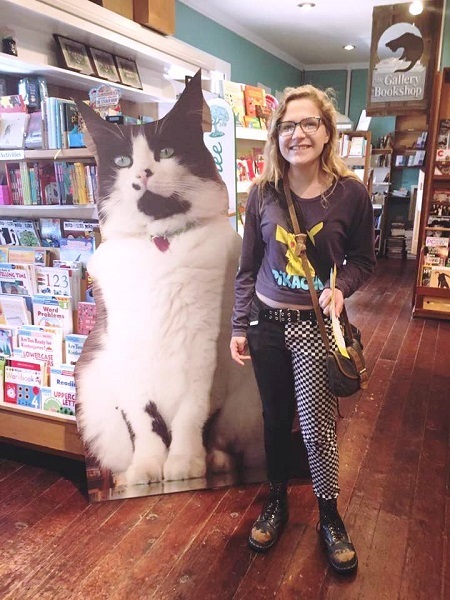 In addition, a six-foot cardboard cutout of Catsby, the bookstore’s cat, proved to be a popular photo opportunity. This year’s Gallery Bookshop celebration also included a fundraising component for local schools, which raised hundreds of dollars, said Olson Day. Area schoolkids held a bake sale in front of the bookstore, and donations to benefit the schools were accepted for free hot dogs provided by the store and for Bookstore Day giveaways. 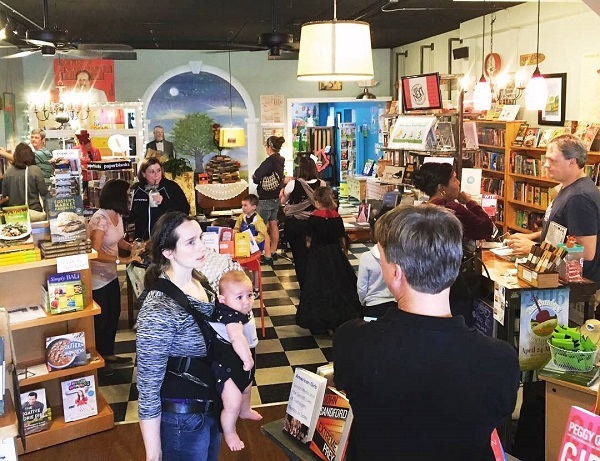 “It was a solid day last year, but sales were up over the last Independent Bookstore Day and certainly up over a springtime Saturday,” said Olson Day. 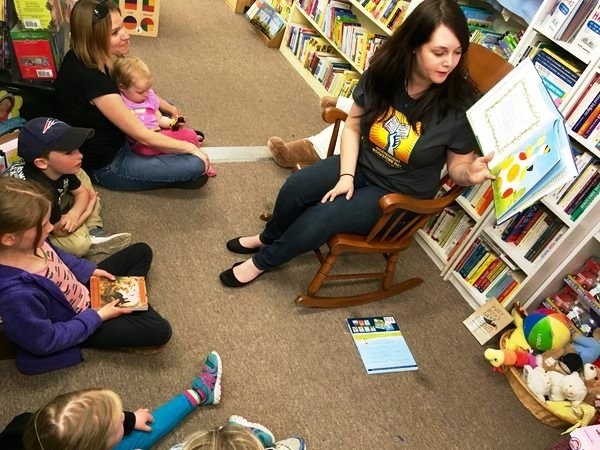 At The Frugal Frigate, a children’s bookstore in Redlands, California, owner Gay Kolodzik said sales were up 27 percent from last year’s Independent Bookstore Day. She even compared the day to another well-known annual celebration of independent businesses: Small Business Saturday. 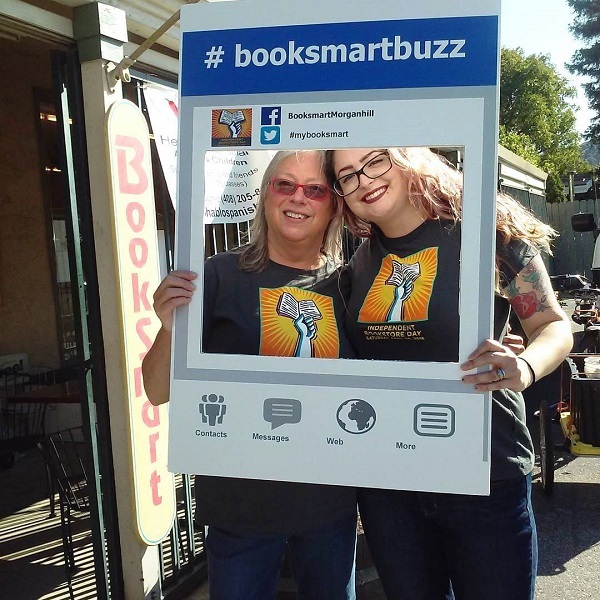 Kolodzik said she publicized Independent Bookstore Day on social media (Facebook, Twitter, and Instagram) and received coverage in her local newspaper. The Frugal Frigate event featured a story time, door prizes, giant cookies, and a storewide sale. “There was a line for the Neil Gaiman coloring books, and I had some people calling weeks in advance,” said Kolodzik, adding that she wished she had ordered more of that particular item. 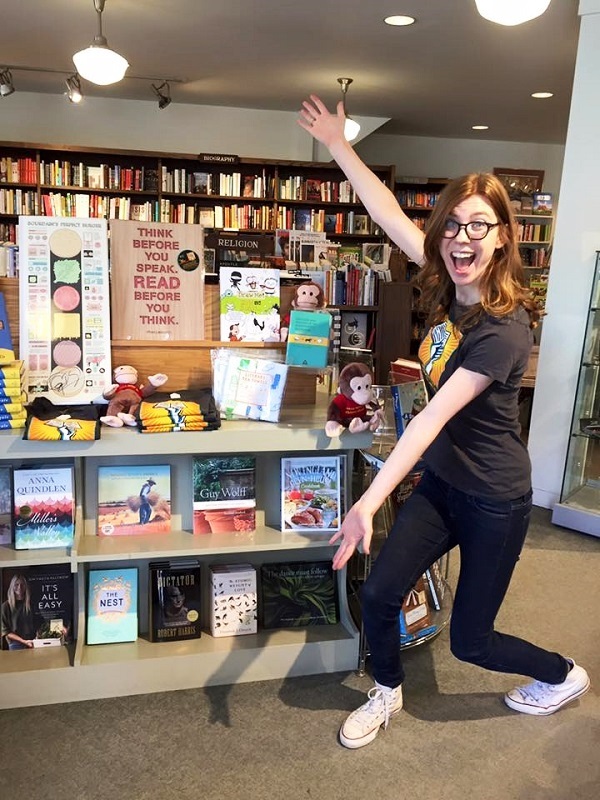 Instead, she went more for the exclusive IBD items geared toward small children, like the Duck & Goose print by Tad Hills and Draw Me!, a book that teaches kids how to draw cartoon characters such as author Mo Willems’ Pigeon. In preparation for the store’s April 30 grand opening, Schroeder attended Winter Institute 2015 in Asheville as well as a Paz & Associates bookstore training workshop. 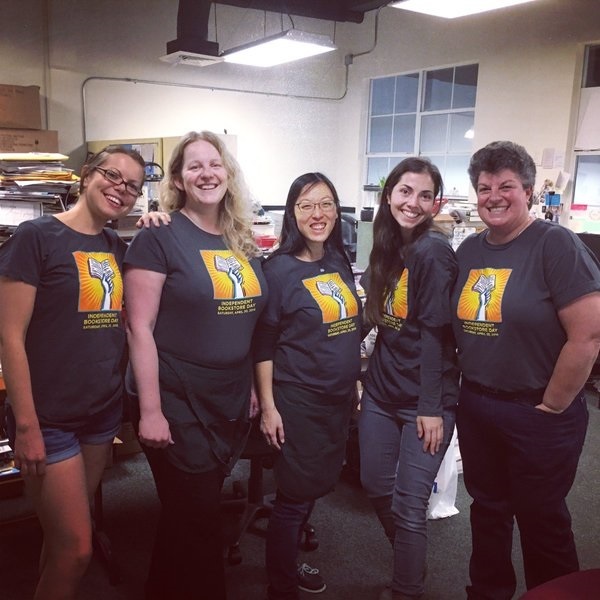 She also ordered a lot of the exclusive 2016 Independent Bookstore merchandise, so she really had to push herself to get Sunrise open by the day of the event. Although Schroeder didn’t sell all of the merchandise, she did have several people come in just for that reason. “We did about $2,000 that day, which I’d say is good for a 600-square-foot store!” Schroeder said. 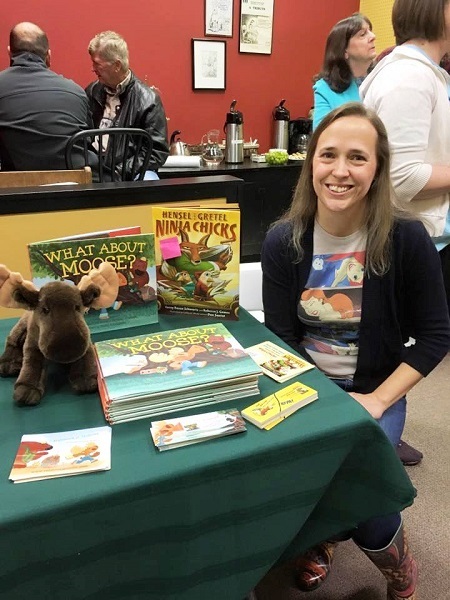 At Chapters Books & Gifts in Seward, Nebraska, customers had two opportunities to meet with groups of local and self-published authors: in the morning, seven children’s and young adult authors were on hand to meet with visitors and sign books, and the afternoon featured eight authors of adult books. 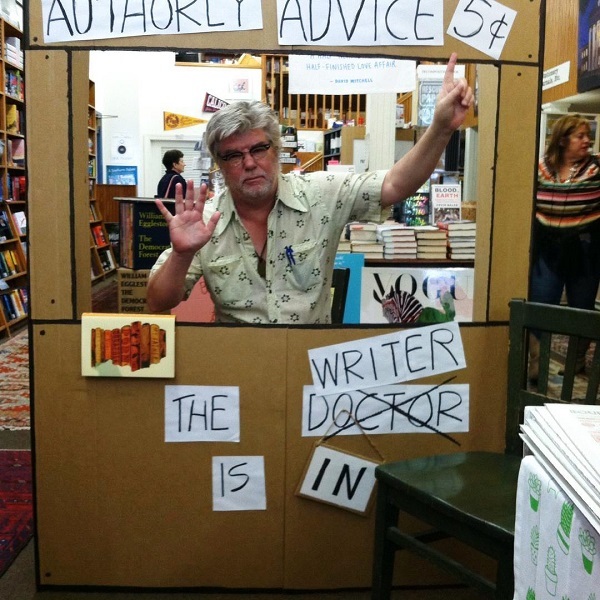 At Dudley’s Bookshop Café in Bend, Oregon, new owner Tom Beans said that overall, sales were up 129 percent over last year’s Independent Bookstore Day sales. Beans said that when he took over the store last April, Dudley’s was still mainly a used bookstore. Since adding new books and making other changes, however, overall sales have risen 50 percent over last year. 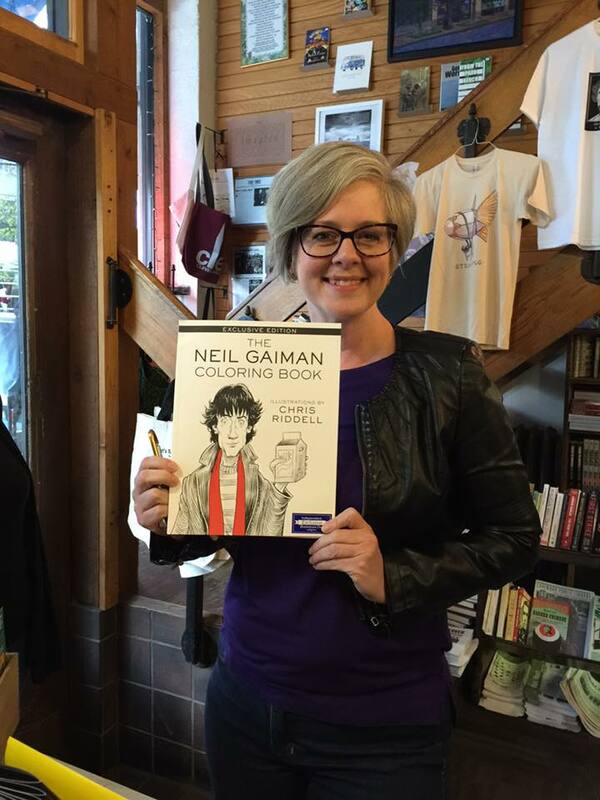 At Dudley’s, the Neil Gaiman coloring book was also the most popular item. On the day of the event, Dudley’s featured discounts on books, raffles, and a Blind Date With a Book promotion, as well as an appearance by outdoor writer Bill Sullivan, a free writing workshop with Amber J. Keyser, and a poetry slam that drew about 35 people, which was part of a series the store initiated last month. 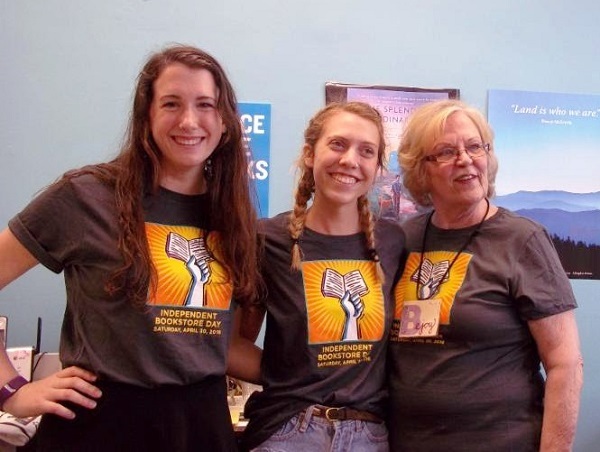 Staff at Hickory Stick Bookshop in Washington Depot, Connecticut, dressed up in Independent Bookstore Day T-shirts and younger visitors were encouraged to come to the store dressed as a favorite literary character for a chance to win gift certificates and other freebies. In keeping with its IBD merchandise, the store also offered story times featuring Curious George and Tad Hills’ Duck & Goose, as well as a Rad American Women A-Z dance party at 5:00 p.m. to showcase the related IBD vinyl. “Overall, it was a really fun day,” said Samuelson. 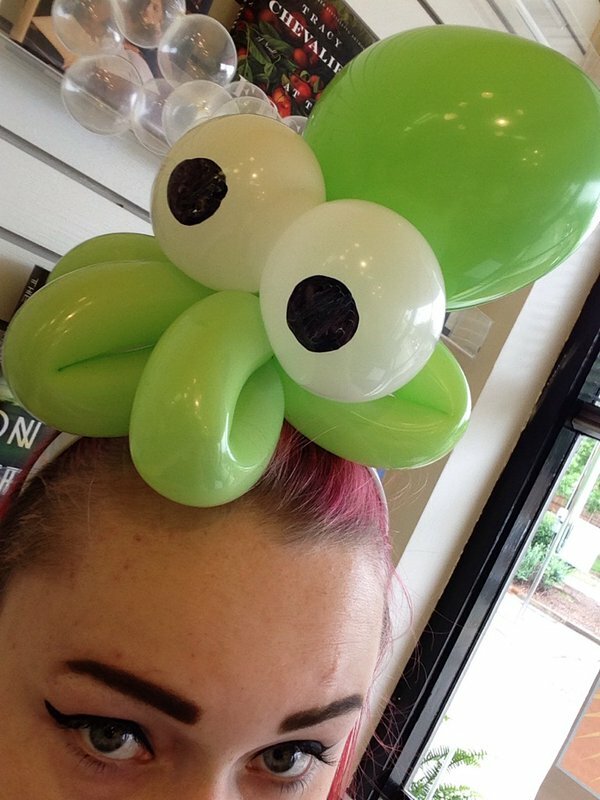 As opposed to last year, this year lots of people visiting the store knew it was Independent Bookstore Day, she added. “They were really excited about it.” Leading up to the event, Samuelson shared photos of the in-store countdown display on social media, which drew extra attention to the event. 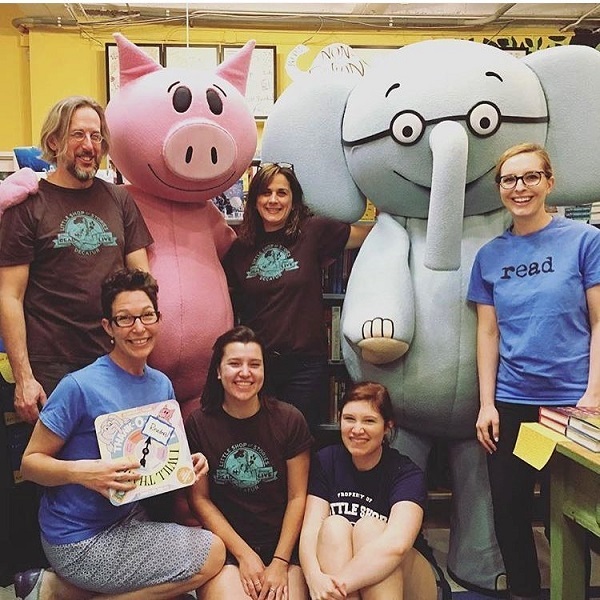 At Monkey and Dog Books, a children’s bookstore in Fort Worth, Texas, owner Shelley Lowe said the day went even better than she had expected. “I was really excited. 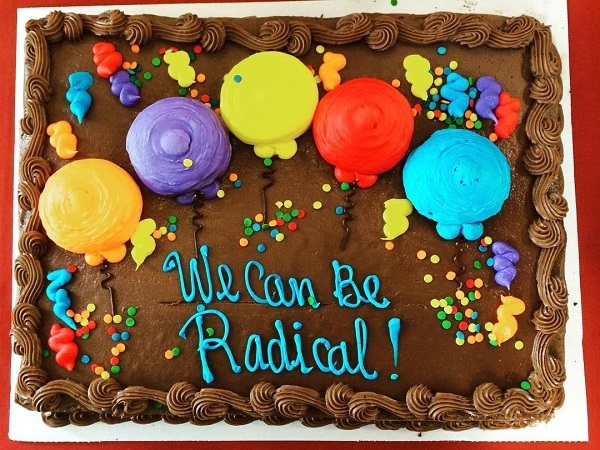 I have a teeny tiny little 125-square-foot bookshop, so we were all kind of crowded in here,” said Lowe, who this year served cupcakes with tiny books as toppers, ran an origami butterfly workshop, and hosted a Tales and Tunes story time. Lowe believes a lot of Monkey and Dog’s new customers heard about the event on social media. Her social media manager is a member of the local “Tanglewood Moms” online message board, which Lowe said has been helpful in publicizing events to the local elementary school community. This weekend, booksellers in New Orleans will celebrate a belated Independent Bookstore Day with festivities on May 7, now that the city’s annual Jazz Fest has concluded. On Saturday, Octavia Books will be hosting an adult coloring book contest, scavenger hunts, live music, a cocktail hour, and more, while Maple Street Book Shop will offer frozen treats from Plum Street Snoballs, readings by children’s book authors, and a one-day sale on used books. The two bookstores will also be joining Garden District Book Shop and Tubby & Coo’s Mid-City Bookshop for a scavenger hunt across all four stores that will award the best hunters with bookstore gift certificates.